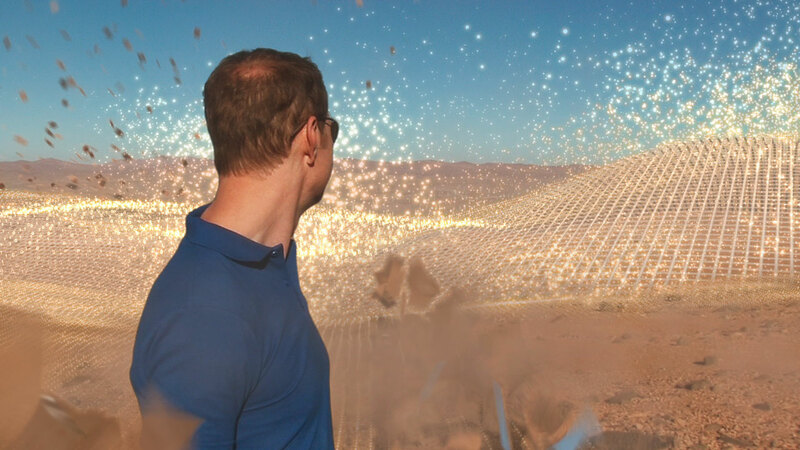 Here are some stills from the movie and book "Europe to the Stars", as well as links for downloading high-resolution files. 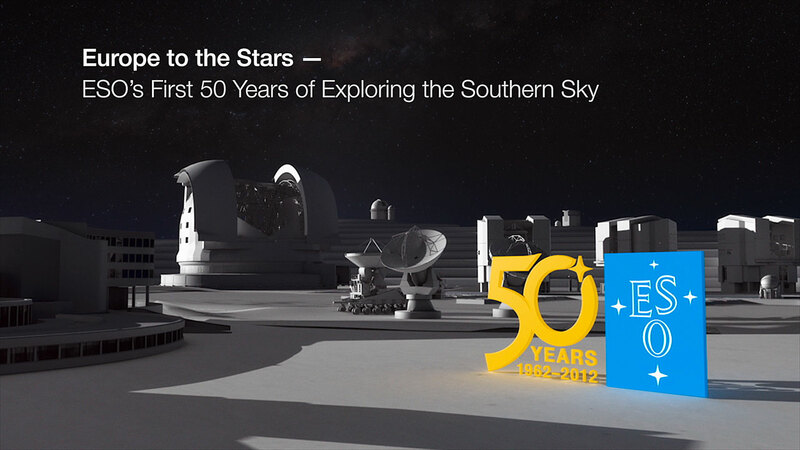 This is a still image from ESO’s 50th anniversary documentary, Europe to the Stars — ESO’s first 50 years of exploring the southern sky. The documentary is available on DVD here. 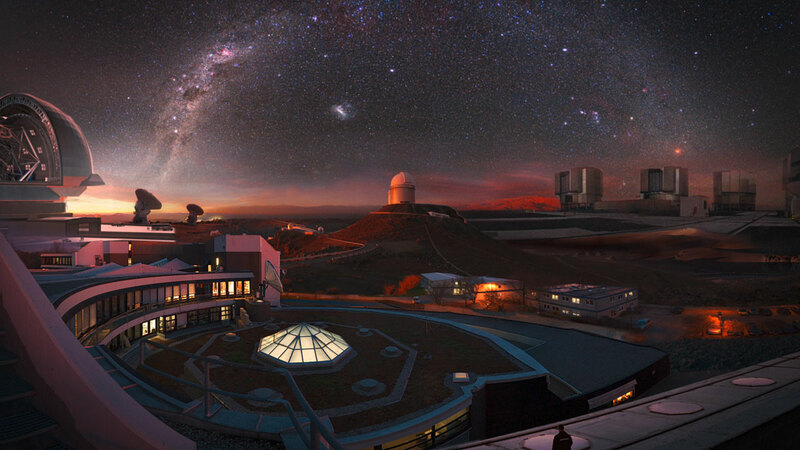 Illustration gathering glimpses of the ESO world: its headquarters in Germany and its telescopes in Chile. 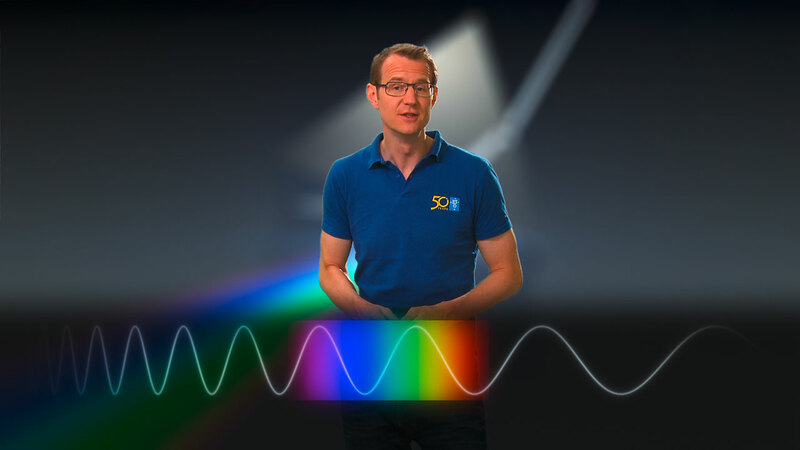 This is a still image from ESO’s 50th anniversary documentary, Europe to the Stars — ESO’s first 50 years of exploring the southern sky. The documentary is available on DVD here. Astronomer Rudi Albrecht in the Data Centre at ESO Headquarters in Garching bei München, Germany, which archives and distributes data from ESO’s telescopes. This is an image from ESO’s 50th anniversary coffee-table book, Europe to the Stars — ESO’s first 50 years of exploring the southern sky. The book is available here. As soon as the Sun sets over the Chilean Atacama Desert, the VLT begins catching light from the far reaches of the Universe. This is an image from ESO’s 50th anniversary coffee-table book, Europe to the Stars — ESO’s first 50 years of exploring the southern sky. The book is available here. The Very Large Telescope platform during the last stage of construction in 1999. This is an image from ESO’s 50th anniversary coffee-table book, Europe to the Stars — ESO’s first 50 years of exploring the southern sky. The book is available here. The splendours of the southern sky can truly be appreciated from the La Silla ridge. 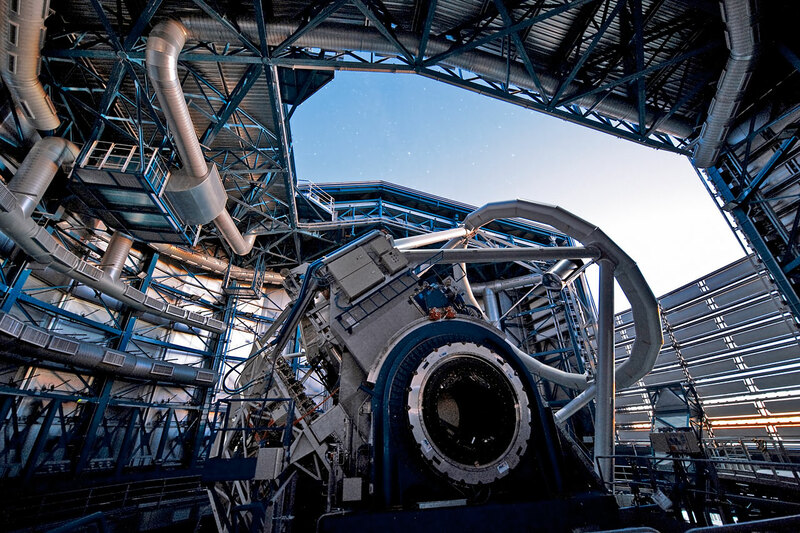 The MPG/ESO 2.2-metre telescope is seen in the foreground. This is an image from ESO’s 50th anniversary coffee-table book, Europe to the Stars — ESO’s first 50 years of exploring the southern sky. The book is available here. This view shows the constellations of Carina (The Keel) and Vela (The Sails). The dark, wispy dust clouds of the Milky Way streak from middle top left to middle bottom right. The bright orange star in the upper left is Suhail in Vela, while the similarly orange star in the upper middle is Avior, in Carina. Of the three bright blue stars that form an “L” near these stars, the left two belong to Vela, and the right one to Carina. 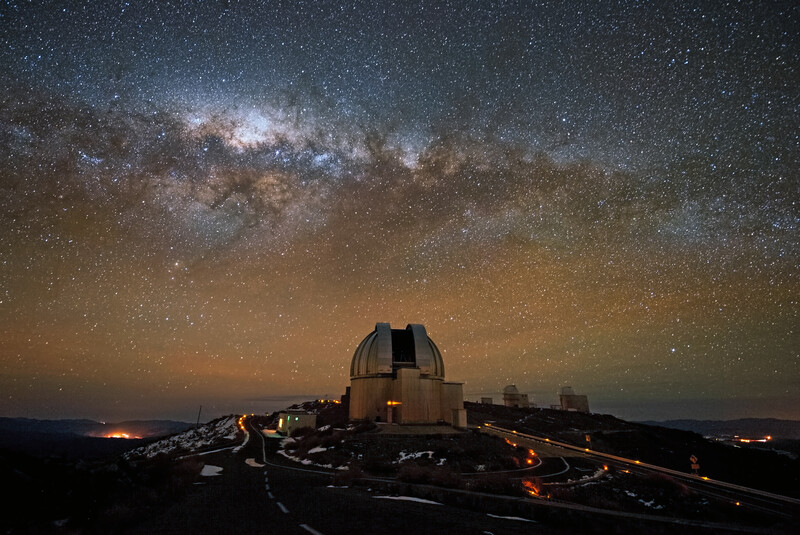 This image was used in ESO's 50th anniversary coffee-table book, Europe to the Stars — ESO's first 50 years of exploring the southern sky. The book is available here. 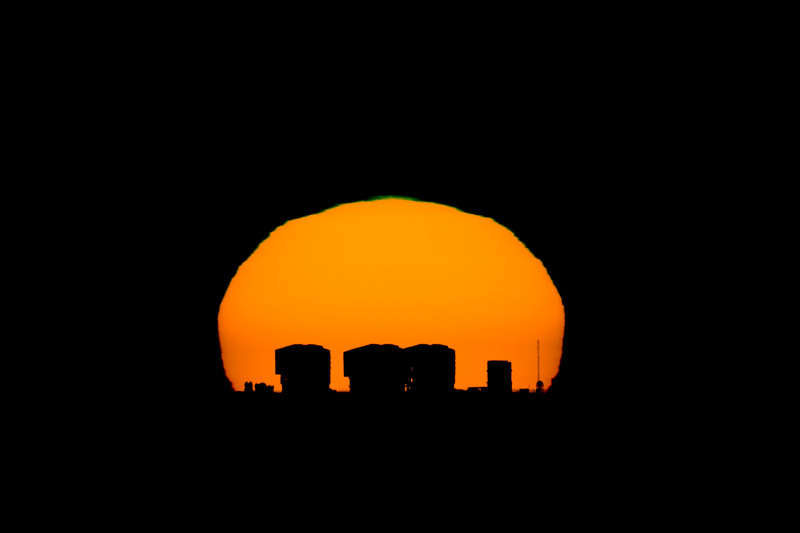 The picture clearly shows 3 of the 4 big 8.2-m Unit Telescope (UT) domes (the 4th one is behind the others) of ESO's Very Large Telescope, the VST enclosure on their right and the high meteorological post with the DIMM tower on the extreme right. 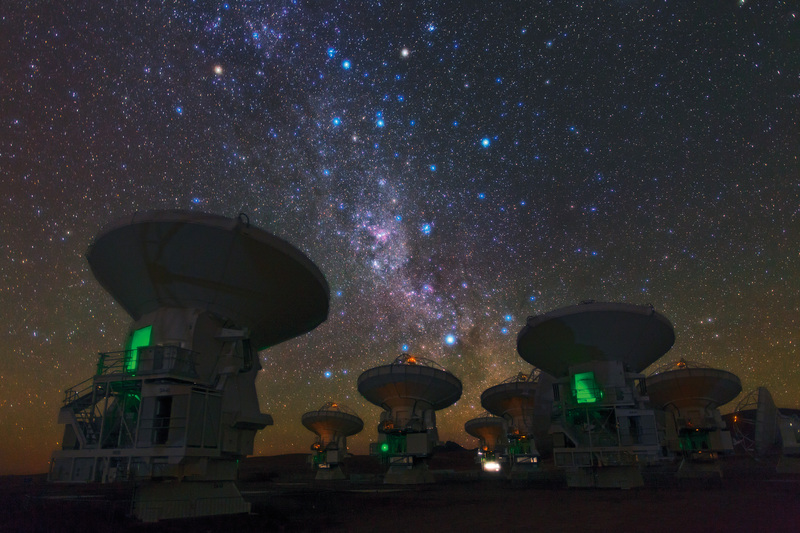 On the left of the picture, the partially opened domes of the smaller 1.8-m Auxiliary Telescopes (AT) are also visible. 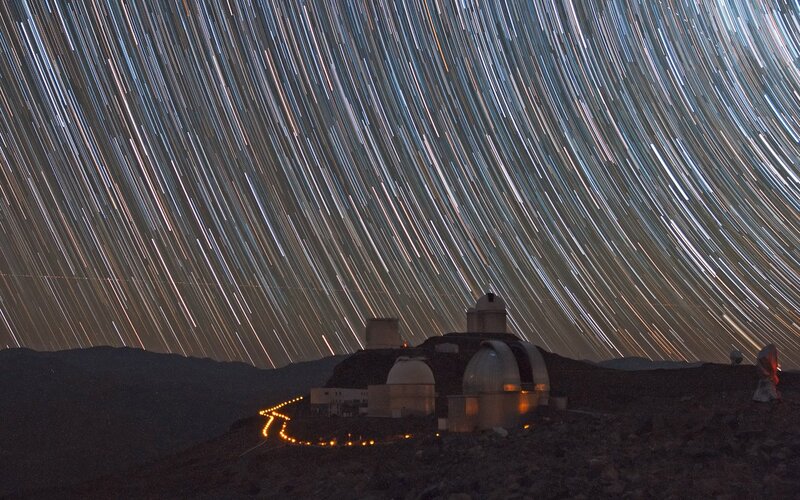 A combined series of nighttime exposures captures these impressive star trails over ESO’s La Silla observatory. The stars appear as trails because of the apparent daily motion of the sky, which is, in fact, due to the rotation of the Earth on its own axis. 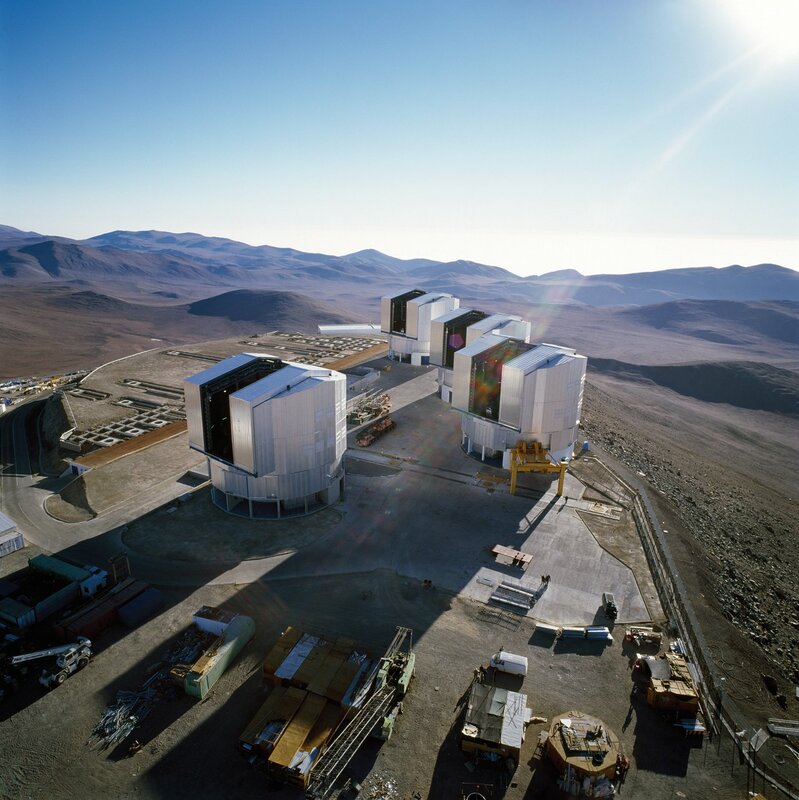 At the centre of the image, in the foreground, is the MPG/ESO 2.2-metre telescope, while in the background the NTT and the ESO 3.6-metre telescope are seen. 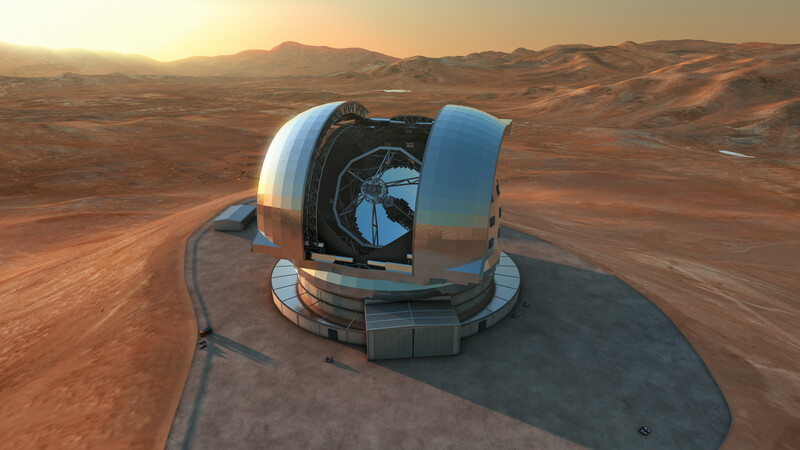 Artist's impression of the Extremely Large Telescope (ELT) in its enclosure on Cerro Armazones, a 3060-metre mountaintop in Chile's Atacama Desert. The 39.3-metre ELT will be the largest optical/infrared telescope in the world — the world's biggest eye on the sky. 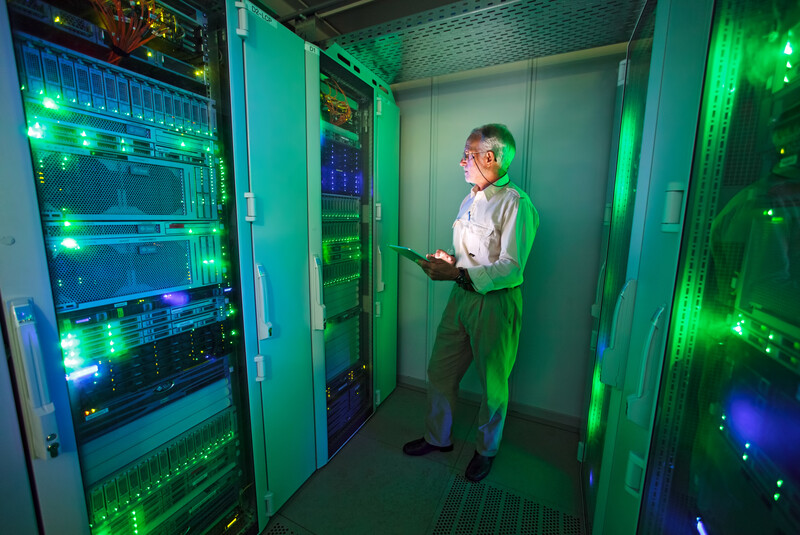 Operations are planned to start early in the next decade, and the ELT will tackle some of the biggest scientific challenges of our time.